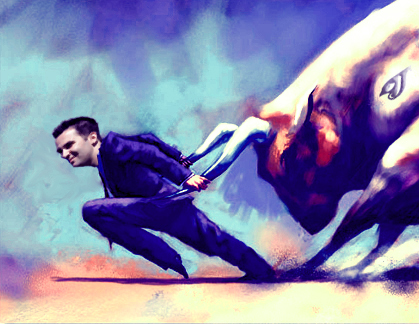 Taking the bull and putting him in his place! Or bulling the man and taking him with horns of fury?! Or taking horns and throwing bulls all over the place. However that expression goes? Alex Anthopolous is doing it with the Blue Jays right now. Presented with the monumental tasks of dealing Vernon Wells‘ long and expensive contract, acquiring some team speed, revamping the Blue Jays minor-league prospects and solidifing a team manger, Anthopolous has taken the challenge head-on. Alex Anthopolous (or the Silent Assassin as many call him) dealt Wells to the Angels in return for Juan Rivera and Mike Napoli (who was later traded to the Texas Rangers for former closer Frank Francisco). In process he has freed up the Jays from a large financial obligation that was not paying off. Rivera and Francisco are decent players that will help the Jays in the 2011, and some will argue that Rivera could provide similar offensive production, even if we see him in a plattoon role. The Jays will undoubtably be able to a lot of things financially in the near future, so many Jay fan are excited at those possibilties even if they did come at the expense of losing a good player. I did a prior post on this subject and I believe that it cannot be overstated. The Jays are going to be a more athletic team. The recent acquisitions of Rajai Davis, Anthony Gose, Brett Lawrie, Yunel Escobar (to lesser extent) and Corey Patterson has given the Jays a new dimension defensively and on the basepaths. AA said that he was going to pursue more athletic players to give the team another threat. He was true to his word. I believe that this is an element of the game that the Jays have lacked in the past. In my opinion speed isn’t vital to the success of a club, but it is important. A Jays team without both Roy Halladay and Vernon Wells will seem unusual coming into the 2011 season. Things will be different, but hopefully they will get better with changes on the managing front. AA brought in a well-respected pitching coach from the Boston Red Sox, John Farrell. A core of very good young pitchers consisting of Brett Cecil, Ricky Romero and Brandon Morrow will have Farrell’s hands full. Not to mention the young pitchers that are liking coming up in the near future Kyle Drabek and Zach Stewart. Farrell will likely be able to provide some valuable mentoring for these players along the way. AA has branded a Blue Jay bull with the Blue Jay logo, and he is going to eat a succulent medium-well cooked New York (Yankee) strip steak with it! Make sense? ha ha. So, the Blue Jay bull is a Yankee? The departure of Vernon Wells to the Angels, for Mike Napoli and Juan Rivera, has ushered in a new era for the Blue Jays. Vernon, along with Roy Halladay, were the face of the Blue Jay franchise for more than a decade, and now they are both gone. It is saddening to an extent, but exciting to another. Now, the team looks to move forward in an unfamilar direction. Previous acquisitions of Rajai Davis, young minor-leaguers CF Anthony Gose, 3B/2B Brett Lawrie and to a lesser extent Corey Patterson show that the Jays are looking to burn teams on the basepaths in the near future. 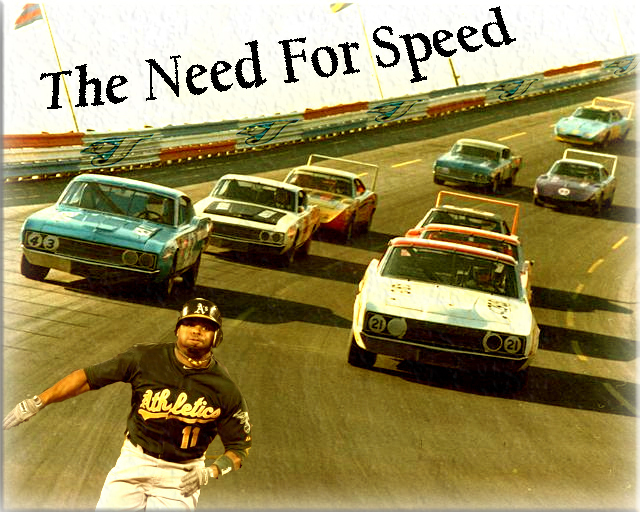 The speed element has been lacking from the Jays in recent years. I am not saying we didn’t have any speed. Wells, Rios and a few others were moderately good basestealers. The Jays have just never had an explosive basestealer, and many believe that Rajai Davis can provide that function. Alex Anthopolous is making the team faster, and changing the team faster than we could have ever imagined. It is an exciting time in Blue Jay land, it needed to be done and I hope it can work. I have good feeling about it.